Profile: Kelly White has 20 years of experience in project management and operations, leading cross-functional teams in publishing, e-learning, online medical communication, software, health care, and nonprofit environments. She is the co-founder and principal consultant at Illume Projects LLC, a certified Women Business Enterprise (WBE) from New York State, which specializes in helping busy nonprofit executives and small business owners save time and work more effectively. 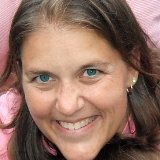 As a certified Project Management Professional from the Project Management Institute (PMI) and a certified Lean Six Sigma Green Belt from Binghamton University, Kelly is committed to bringing teams, processes, and technology together to achieve positive results, continuous process improvement and meaningful, fun work. She is a former examiner for Partners in Performance Excellence, the state-based Baldrige Performance Excellence Program umbrella organization for Massachusetts, New York, and Connecticut. Kelly has a special interest in health care and is privileged to serve on the board of the Ithaca Health Alliance, which facilitates access to health care for all with a focus on the needs of the uninsured. Kelly is a past director of programs and current director of membership for the PMI Rochester – Ithaca branch. She is a member of the Leadership Tompkins class of 2015 and of the inaugural class of the Rev Ithaca Passenger to Pilot program for women entrepreneurs.